This October theme was ‘Nightmare’. LIMITED TIME Geekmas sale – Free crate with pre-paid subscriptions. My disclaimer on this review is that both the box and the review are late. This is the October box that arrived around mid-November for us. One side features a 28×22 poster – this month’s poster features Soul Calibur 2. Pac-Man Ghost Pin – Value $5? This month’s pin was so classic that it’s probably one of my favorite from this subscription! Soul Calibur 2 Shirt – Value $15? The Soul Edge sword is featured front and center here. I kind of love it on the plain white tee since it really pops that lower graphic. Psychonauts Beanie – Value $15? So why not look the part? This is cool and subtle little nod to a small franchise with a pretty big cult following. Silent Hill Coaster Set – Value $10-15? That fog. I can still remember walking my character through that dang fog in the first Silent Hill and hearing my radio start to pick up activity – it was always a game I was glad to play with someone else! These are little vinyl coasters based on a seal from that first game – they’re really nice flexible vinyl. Cuphead Air Freshener – Value $5? The final item is small, but it’s also my favorite! Cuphead was easily one of the more difficult recent platformer games – but for me, it was a nice nod to those stupidly hard games of my past. I still love it. Verdict: I liked the items from this box – I’m just not sure that all the franchises fit into the theme, it was a tiny bit spread out. The good part is that you’ll know the franchises before subscribing. 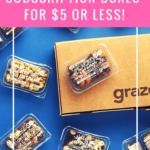 My easy favorite of the box is also the smallest item – the little air freshener – I think subscribing when features a franchise you’re really into leaves you with the best probability of love the box. Can you still get this box if you sign up today? No – they’re currently taking orders for the December 2018 box. You’ll have until the 27th of each month to get that month’s theme! What did you think of the October 2018 ‘Nightmare’ Loot Gaming? Did the coaster set only have 3 coasters? Seems like an odd number is all lol. So glad to see Silent Hill getting some love!